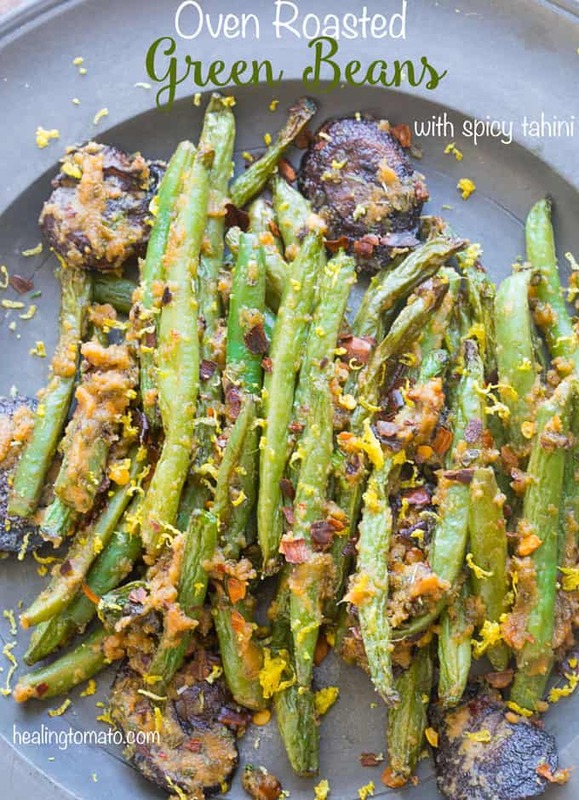 Oven Roasted Green Beans and mushrooms mixed with a spicy tahini paste. 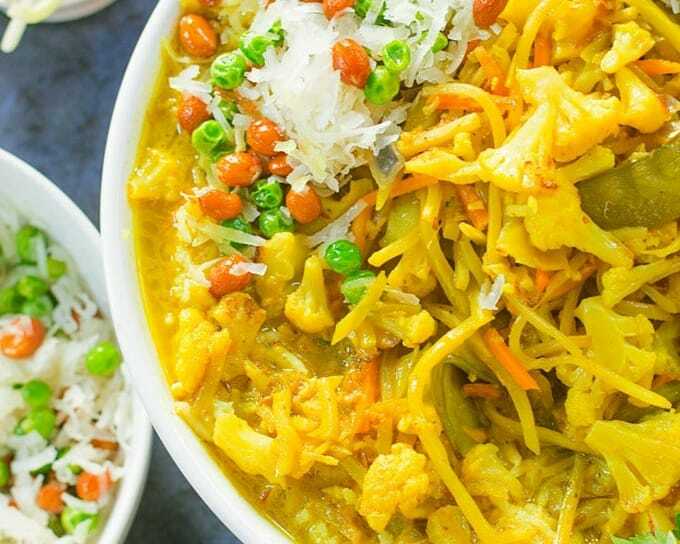 They are the perfect vegan side dish or even a quick lunch option. Use fresh green beans instead of frozen because they will be crispier. Who doesn’t love green beans? I have to say that I am one of those people who doesn’t like green beans. It took me a long time to acquire a taste for it. Even today, I find ways of not eating them! I am sure if I had a pet dog, I would feed it my green beans from my plate. But, once in a while, I find myself finding creative ways of cooking them and they turn out so delicious. In fact, they turn out so good that even I couldn’t resist devouring them. 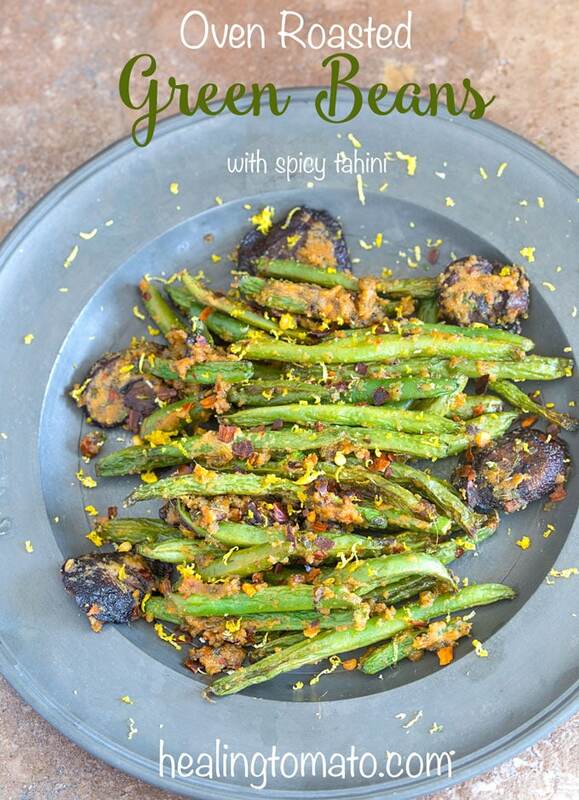 This time, I made a spicy tahini paste and mixed it with oven roasted green beans and mushrooms. I made enough for 2 people, but, I ended up eating the whole thing! Making tahini at home is my favorite thing to do. Its really easy to make and takes very little effort. The secret is in the type of sesame seeds used in it. My homemade tahini recipe is one my top recipes on my blog. Use a large baking tray and spread out the green beans. Larger baking surface makes the green beans cook evenly and quickly. I make sure that they are side-by-side instead of being in a pile. Keep the oven temperature lower. I find that 400° is the perfect for roasting green beans. They may cook slower, but, it brings out the best in them. Stir them after about 12 minutes of roasting. Maybe that’s just my OCD talking, but, I like to see them roasted evenly on all side. 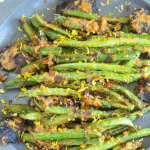 Oven Roasted Green Beans and mushrooms mixed with a spicy tahini paste is the ultimate, flavorful side dish. 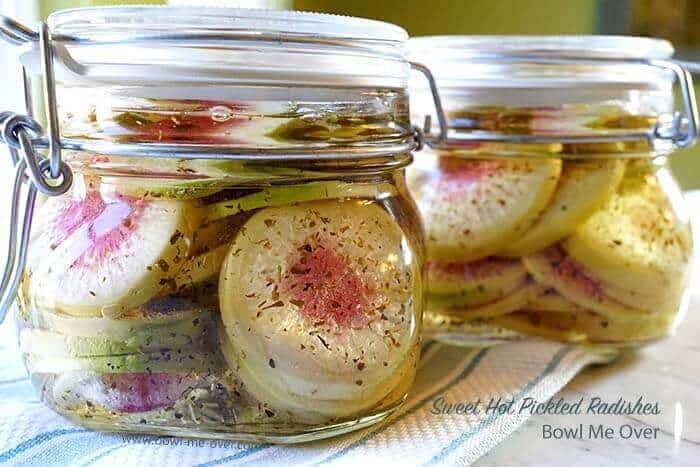 They are the perfect vegan side dish or even a quick lunch option. Use fresh green beans instead of frozen because they will be crispier. The amount of water used in this recipe depends on the thickness of the tahini. I have tried some store-bought tahini that is very thick and I have to use more water in it. Bottom line is that add as much water as you think necessary. I like a more pasty version, so, I use less water. If you prefer a more creamy version of tahini, add more water and oil. 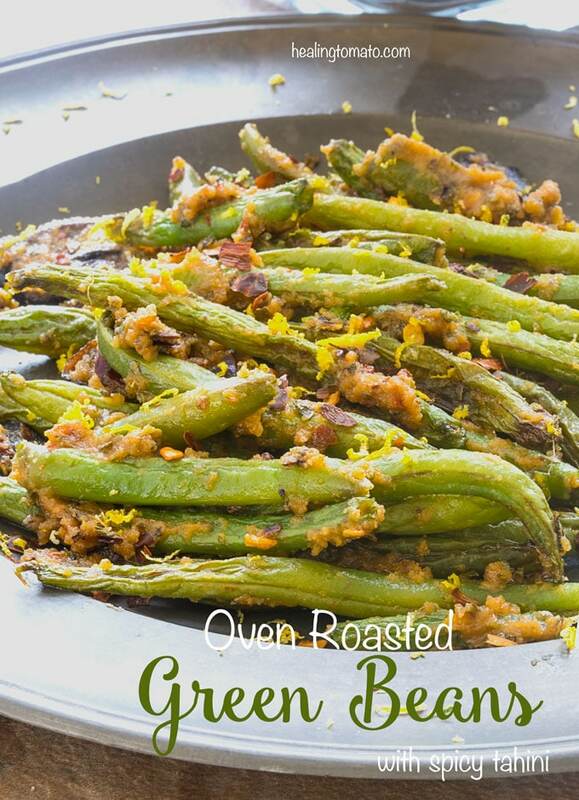 If you liked this Oven Roasted Green Bean recipe you might also like…. 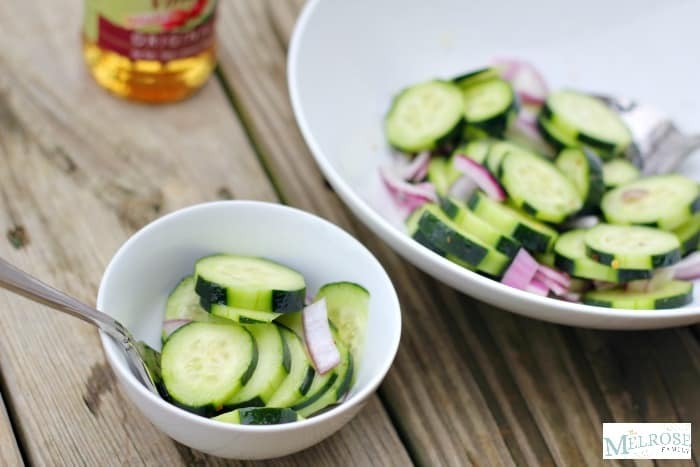 From left to right: Thai Cucumber Salad, Sweet & Hot Pickled Radishes.